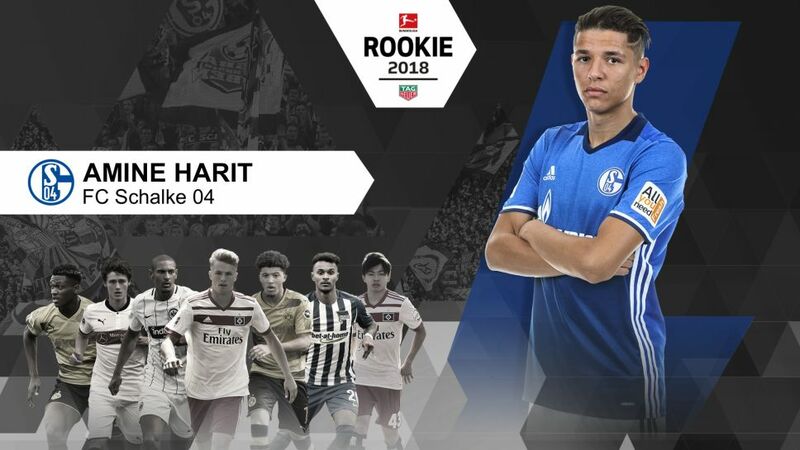 FC Schalke 04 midfielder Amine Harit (20) has been voted the TAG Heuer Rookie of the Season for 2017/18. The Rookie Award in the league with the lowest average age in Europe's top five divisions (24.5 years) is presented by DFL Deutsche Fußball Liga together with its official partner, the Swiss watchmaker, TAG Heuer. Harit won the award ahead of seven other candidates who, like him, had previously been voted Rookie of the Month. Harit made 31 appearances in the Bundesliga after joining Schalke from Nantes last summer, scoring three goals and assisting six others. Although he won the European U19 Championship with France in 2016, the Schalke man has since decided to play for Morocco, his parents' homeland. Harit is currently part of the Morocco national team's provisional squad for the FIFA 2018 World Cup in Russia. The other candidates for the Bundesliga Rookie Award by TAG Heuer were Jann-Fiete Arp, Tatsuya Ito (both Hamburger SV), Sébastian Haller (Eintracht Frankfurt), Valentino Lazaro (Hertha Berlin), Benjamin Pavard (VfB Stuttgart), Jadon Sancho and Dan-Axel Zagadou (both Borussia Dortmund). Voters for the Rookie of the Month award have a choice between three professional footballers who at the start of the season were no older than 23 and had not yet played a Bundesliga match. Lothar Matthäus, captain of Germany's 1990 World Cup-winning team, picks the top three from a five-man shortlist. The pre-selection is based on official match data (e.g. goals, assists, tackles won).